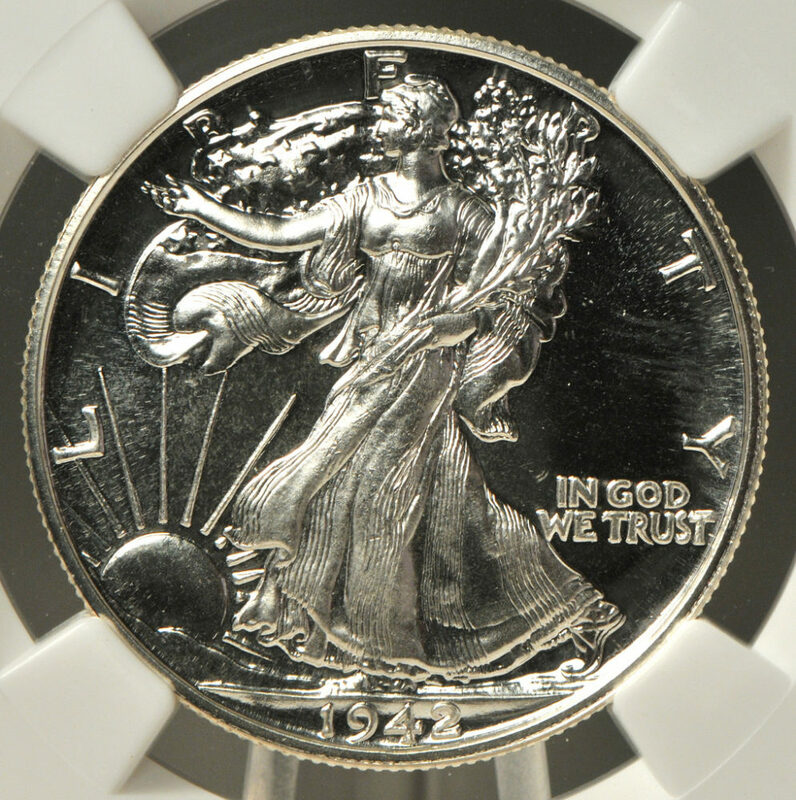 Walking Liberty half dollars, made from 1916 to 1947, just may be the most beautiful coin ever made! Even decades after the last one rolled out of the United States Mint, the Walking Liberty half dollar remains a classic silver coin which collectors love. In fact, the Walking Liberty design is so popular, the U.S. government revived the design in 1986 and placed it on American Silver Eagles. 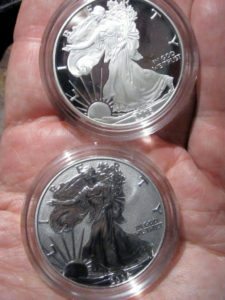 Walking Liberty halves are widely collected and enjoyed by seemingly countless collectors. There is more than one way to assemble a Walking Liberty half dollar collection. #1 – Build a date-and-mintmark set. Historically, Walking Liberty half dollar collectors enjoy collecting these beautiful coins by date and mintmark. While such a collection is a remarkable undertaking, it can also be too expensive for many coin collectors to consider. For example, it can cost $2,000 or more to get each and every date and mintmark combination — even in a grade of Good. #2 – Build a short set. Coin collectors with smaller budgets enjoy completing short sets. A short set of Walking Liberty half dollars consists of each of the dates and mintmarks struck within a short range of years (a consecutive date range of coins much shorter than the span of the entire series). For example, one popular Walking Liberty half dollar short set covers the years 1941 through 1947 and includes Philadelphia, Denver, and San Francisco mint issues. 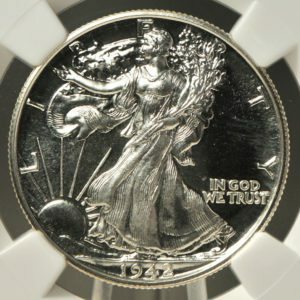 Of all the commonly collected Walking Liberty half dollar short sets, this is one of the least expensive and easiest to build. In the middle grades (Fine to Extremely Fine) this short set would cost under $300 to build. #3 – Build a mintmark set. This is probably the least expensive way to collect several Walking Liberty half dollars — because it involves simply collecting 3 coins: 1 each from the Philadelphia, Denver, and San Francisco mints. Depending on the dates and grades of the coins involved, such a 3-coin set could cost as little as $30. #4 – Build a 1-year set. When collecting coins, in just about every case (even the years when seemingly every issue is considered scarce), there are cheap options. Most years of the Walking Liberty half dollars are not rare due to their date alone — with the exception of those minted in 1916 and 1921. Therefore, you will probably be able to build a one-a-year set of Walking Liberty half dollars without breaking the bank in the process. Bear in mind, no Walking Liberty halves were made in 1922, 1924, 1925, 1926, 1930, 1931, or 1932 — so you won’t need to worry about buying a half dollar for any of those years. There are just 25 Walking Liberty half dollars necessary for such a set — with 1916 and 1921 being the only years for which you’ll probably need to spend more than $40 each for an example. #5 – Build a proof set. Did you know that the United States Mint struck proof versions of Walking Liberty half dollars? For a few short years before and during the beginning of America’s involvement in World War II, this is exactly what the U.S. Mint did for collectors. From 1936 through 1942, thousands of proof Walking Liberty half dollars were made. Today, these scarce, beautiful coins are coveted by coin collectors. They’re worth about $550 or more each. However, those who are able to assemble a set of Philadelphia-mint proof Walking Liberty half dollars will definitely enjoy the eye-pleasing results of such a coin collection. #6 – Build a type set. Even if you insist that you simply can’t do without both types of Walking Liberty half dollars, collecting both wouldn’t have to cost more than $100 — especially if you stick to buying low grade examples (under Fine). All in all, Walking Liberty half dollars are very common coins and remain plentiful in the coin market. They are nearly impossible to find in circulation, though. 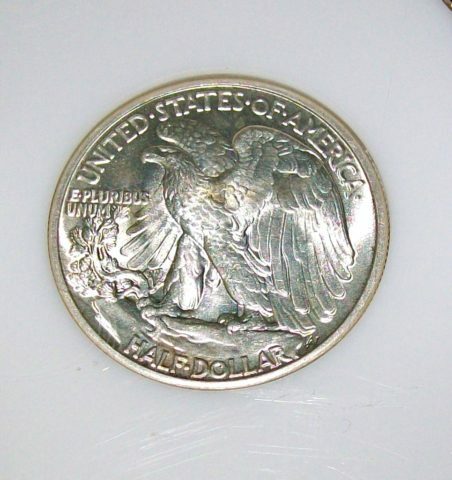 Diligent searching of half dollar rolls may turn up a well-worn common-date Walking Liberty half dollar. Because Walking Liberty half dollars are essentially no longer available in circulation (and really haven’t been for decades now), your best bet for picking up some of these beautiful coins for your collection is at a coin dealer, a flea market, or through online resources like eBay. The Walking Liberty design was the first new image seen on 20th century half dollars, replacing the Liberty Head (‘Barber’) design seen on half dollars from 1892 to 1915. While the last silver Walking Liberty half dollar rolled off the Mint’s presses in 1947, that wasn’t the end of the Walking Liberty motif that earned acclaim from coin collectors and the general public alike. In 1986, the United States Mint officially unveiled its plans for a new bullion coin program. The bullion program includes a 1-ounce .999-fine American Silver Eagle one-dollar coin featuring an obverse (“head’s” side) anchored by none other than the famous Walking Liberty design that was last seen on a new coin 39 years earlier in 1947. A faithful replica of the 1916 Walking Liberty half dollar appeared on one of the 2016 commemorative gold coins honoring the centennial — or 100th anniversary — of the first Walking Liberty half dollars, Standing Liberty quarters, and Mercury dimes in 1916. The 2016 gold Walking Liberty coin contains a 1/2 ounce of gold and bears a “W” mintmark from the West Point Mint in New York. The 2016 Walking Liberty half dollar gold coin was sold by the United States Mint and is available on the secondary market from coin dealers.